How are our roe deer doing? This year’s roe deer fawns are getting three months old – they were born in June. Two harsh winters have thinned the deer flocks mercilessly and of course predators and stray dogs have taken their toll. Little sense in speculating about numbers but roe deer are certainly much fewer. Some argue that they have not even heard the barkings of the bucks during the mating period this year. Despite all deer are to be seen, maybe they have changed their behaviour a little. 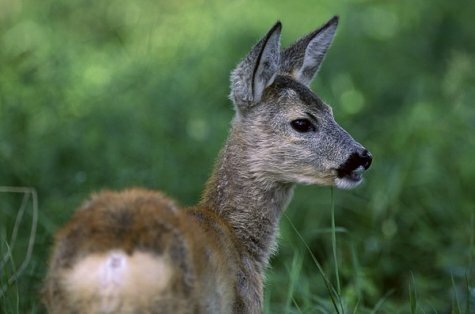 These animals are strong and hopefully healthy, so already in the next few years we can have a new, healthy and strong generation of roe deer in our forests – let us hope that it will be so.